You need to know that while the gap is closing, I was a layperson longer than I have been a pastor. I did not enjoy my pastor in Wisconsin going on and on about how the church needed more money. Growing up, it felt like we heard that every Sunday. We didn’t. But I think we heard it every other Sunday. Of course, years later I found at that at that time, with a church of 3000 members and a grade school with 300 kids, 75 percent of the members were giving nothing. Zip. Zilch. Nada. After I left, the next pastor spent the whole summer doing nothing but visiting the members and teaching them about Biblical stewardship. And that is the key phrase here, Biblical stewardship. Now we all agree that a guy like me is supposed to teach what is in the Bible, right? And the Bible does talk about how we as God’s people are supposed to approach money. One out of ten words in the Gospels are about this subject. 16 of 38 of Jesus’ parables. Think about it: 10% of the gospels are about money! God does not do coincidences, ok? Is there anyone here who still thinks I should not be preaching this sermon? Now this year’s approach to this subject is going to be less theoretical, less theological, and more on the practical, down to earth side of things. And in this light, I want to give you a little St. Mark history. When I got here 15 years ago, this church was not a healthy, happy place. Many members were grumpy. And financially, things were a mess. Way back then, we went months where we could not make the mortgage payment on this facility. But towards the end of my first year here, a message went out from the head elder describing the situation, and a week later almost $30,000 had been brought in. We haven’t missed a payment since. About 4 years later, we noticed giving was waning and the general fund was slipping, so we put out the word, the offerings went up, and we were good to go. About four years ago, the congregational chairman put some graphs in the bulletin and he and I had some talks with you as this was happening again. This was in November. That December, the church brought in over $60,000 in offerings. So now we come to this year. Attendance was down here over the summer. I guess a lot of you got to hit the road. I did too, since I got to go to Germany. But offerings went down again and six weeks ago we put the word out again of our dwindling resources, and our need to replace three more air conditioners. And then in September we took in over $65,000. To God be the Glory. And I thank you. I have stated before that it is obvious to me that God wants this church, this congregation to be here. And God has blessed this family of faith for almost 40 years. But here’s the thing…if everyone in this congregation, if every family here tithed, as the Bible says, we would not have these ups and downs. We would just have…UPS. 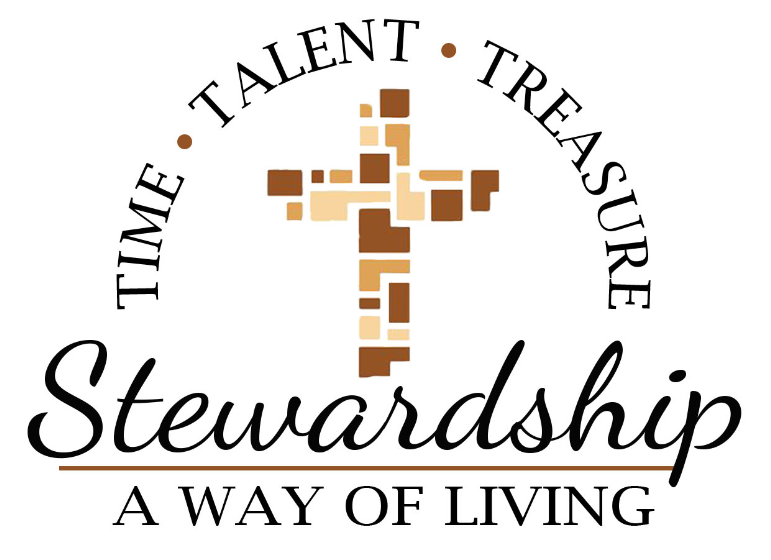 Therefore, I want to take this time to remind and encourage all of you to follow a Bible perspective on Stewardship. And that is tithing. We are to give God at a minimum, 10% of what we have as a Thank Offering. You will notice that here in the bulletin, it says “Offering.” It is not a pew rental, it is not a membership fee, it is an Offering, a THANK Offering. When we tithe, it is an act of Worship where we say thank you to God for what He has given us and continues to give us. And let’s be real here, we are all blessed. We all have everything we need, and more (last week’s sermon). We are blessed. We do not want to say to God “I will give you what is left over.” We want to give to God, as the Bible says, “Our first fruits.” The first monies that leave the Erler house every month is what we give as a thank offering here. Another thing I want to remind you is that when you do put your thank offerings in the plate, you are not putting money there for the budget. You do not put money in these plates to pay the budget for this congregation. It is true. You are not giving to a budget, you are giving to God. Putting something in here is an act of worship. After that worship, your church council, in agreement with you, takes these funds and pays missions, salaries, and bills. You might think that is a small distinction, but it is not. We give here in thanks to God, in praise of God, in worship of God for what He has done for us. And He wants us to do it with real, honest to goodness thankfulness to Him. That’s the very issue our text verses are addressing. In verse seven, Paul says: “Now to each is given the manifestation of the Spirit for the common good.” We are not to keep to ourselves that which God has given to us. We are to take from what God has given us and put it to work in His kingdom. In verse eleven we read: “All these [gifts] are empowered by one and the same Spirit, and He gives them to each one, just as He determines.” Again, it is God who does the giving. All of us are to figure out what are those special gifts, abilities and resources that we have and, by the power of the Holy Spirit, put them to work as members of the Church. We need to look deeply in here, realize what God has given to us and then give back: to God, to our Church, to each other. This is something we all need to do. This is not a deal where we can say to ourselves: “I’ll let the other folks take care of this.” When everyone is doing their part, then things go well. When folks are not doing their part, the group, the team suffers. Remember what I told you about my home church. If we are all tithing here, then things will be even healthier. The financial secretary here last winter put together some stats. Those statistics are out on the table over there. Now I am not going to go into the details, I can give that to you if you want to talk to me later, but I estimate based on those numbers and the demographics given us about Edmond by the LCEF, that we have 26 families tithing, 51 that aren’t. And I am smart enough to know these are not hard figures, this is educated speculation. But if the demos for Edmond are correct, if everybody here tithed we would have over $500,000 in offerings here per year. And I would not have to preach this specific topic again. If you are here thinking you cannot afford to tithe, I disagree. In 170 years of the LCMS, no one has ever declared bankruptcy, no one has gone broke because they tithed. Instead God says this: In Malachi 3:10, we read “Bring the whole tithe into the storehouse, that there may be food in my house. ‘Test me in this,’ says the Lord Almighty, ‘and see if I will not throw open the floodgates of heaven and pour out so much blessing that you will not have room enough for it’” (Malachi 3:10). Now tithing is not a hard and fast rule for us Christians. We live in grace and not by the law. But it is a guide. Tithing leads us to give God the first fruits, and not the leftovers. All too often the Lord gets the leftovers. That’s true when it comes to our financial pledges, our worship, our singing and everything else. If you are daydreaming during this or any sermon, you are giving God leftovers. If you are thinking about what you are having for dinner later or what you have to do at work or school this week while you are singing the hymns/songs today, you are giving God the leftovers. If you pay all your other bills first and go out to eat and buy your Starbucks and then give God what is left, that is the leftovers. This is a shame because the Lord didn’t send some low grade angel, some left over to be our Savior. He sent the best He had. When you look in the Bethlehem manger, or on the cross, you will see God’s only Son. Now I was going to say look in the empty tomb as well, but Jesus is not there, right? Jesus died and rose for us. God gave the best. God gave His best. And God wants us all to do the same in thanksgiving, in worship. Here is the reality and the challenge: You are the body of Christ, and each one of you is a part of it. We are to give freely and generously of our time, talents and financial resources in thanks for what God has first done for us, and we are to share the good news of Jesus, and that He died and rose for us, and share this with as many people as we can reach! That is our calling, each one of us. We are all part of the team. We all have a part to play. We have all been gifted. We are all called to give: especially God’s love that is here inside us all. God grant us the strength and wisdom to do what He wants us to do, in thanks and praise for what He first has done for us.